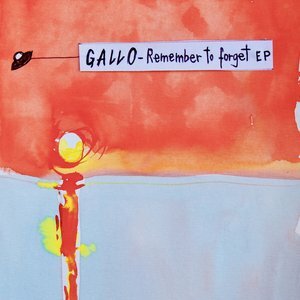 Italian founded, now Berlin based disco/balearic deviants Hell Yeah are back with a guy named Gallo. Story has it that when When Hell Yeah boss Marco dropped Fabrizio Mammarella's ambient Remix of "Faron" at sunset at Hostal la Torre in Ibiza last year - people started queuing up for IDs. The Italian DJ is part of Balearic Gabba Sound System and resident at horizontal party Buena Onda in Berlin and Ibiza - so you are certainly in good hands. In its original version, "Remember To Forget" is a slo-mo, psyched-out chill time cut, as is the lush new age vibe of "Ebrezza" (original mix) but the remix up next by Leeds based trio Clandestino delivers a more energised and neon-lit perspective for the dancefloor.